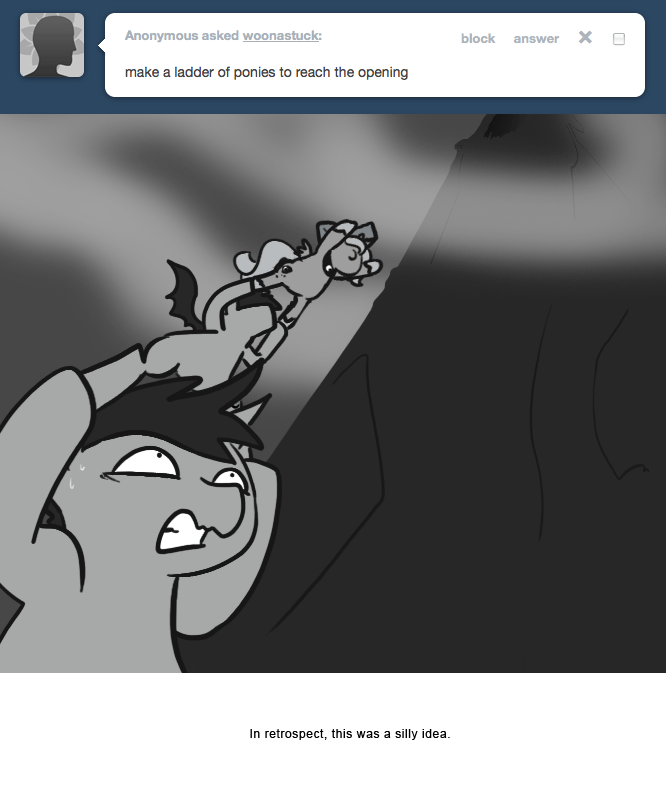 ← An important lession I learned from ponies. Continuity is for the weak! So in class we talked about new media, fiction, and the evolving art of storytelling. We looked at some neato stories like The Disappearance of Miriam and…. a couple of other stories… that I can’t be bothered to look up at the moment. But it got me thinking about how storytelling has changed thanks to the internet, particularly the Quest comics and… oh god I’m talking abouthim again… Slenderman. Yeah, you know, sleep is overrated. So what are these crazy things? Well, the Quest comics are interactive webcomics. Basically comics that are printed online that run like an old adventure game from the 80s, where you had to type in the individual commands, like “John: Go north” or “John: Pick up hammer.” I don’t know if Andrew Hussie created the style, but he certainly made it popular. He started with “Jail Break,” a simple comic in which the readers told the characters what to do, usually to stupid effect. Pretend broken ladder is railroad tracks! He eventually gave up on this and moved onto a new adventure… which he gave up on, then he did started “Problem Sleuth,” which actually ran until its completion a year later, and unlike the other two it actually had more intelligent commands. While Hussie has moved onto a new project called “Homestuck,” which puts the user commands in the backseat in favor of a complex storyline, others have copied his style and created new stories that follow the user command formula. A guy called Weaver created “Ruby Quest” on 4chan’s /tg/ board, which started as a overly complicated puzzle to a Lovecraftian style horror story. Then there’s Prequel, which takes characters through the game of Oblivion, through the eyes of a hopelessly incompetent catgirl. Also she has a drinking problem. And on Tublr there’s a few, like Moonstuck, which follows the adventures of an adorably non-cannon Princess Luna (from My Little Pony) as she explores the moon… It makes about as much sense as it sounds. These comics, the old MS Paint Adventures, Ruby Quest, and Moonstuck especially, blur the lines between storytelling and games. The creators make a back-story and a world, but beyond that further planning is nearly impossible. By opening up the fate of the characters at least partially to the audience the stories can, and often do, go in wildly unexpected directions. Then there’s Slenderman. 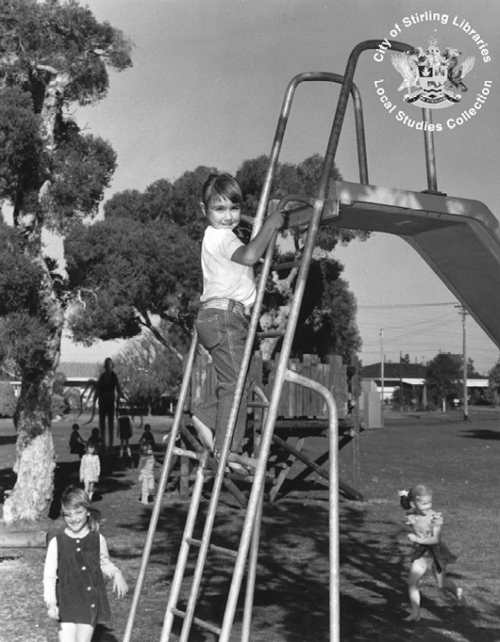 The Slenderman is a fictional monsters was first sited on Something Awful forums, in a thread entitled “Created Paranormal Images.” The figure created was simple; an unnaturally tall man wearing a simple suit with no face. The eerie image quickly caught on and spread throughout the net, morphing from a simple photoshop into it’s own mythos. 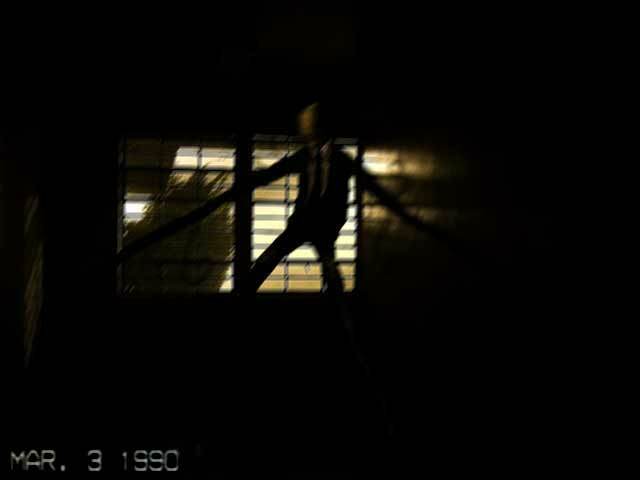 Marble Hornets started (or at least made popular) a trend of video sightings of the monster, expanding the lore to include how the monster interacts with video. But that’s not all, it also turned the Slenderman story into an augmented reality. Fans of the various videos started to interact directly, even guest staring in some of the episodes. The constant connectivity of the web lets audiences interact with their entertainment in unprecedented ways. Suddenly fans can not only start a dialog directly with their shows but actually get involved, pitch ideas, even join in directly. 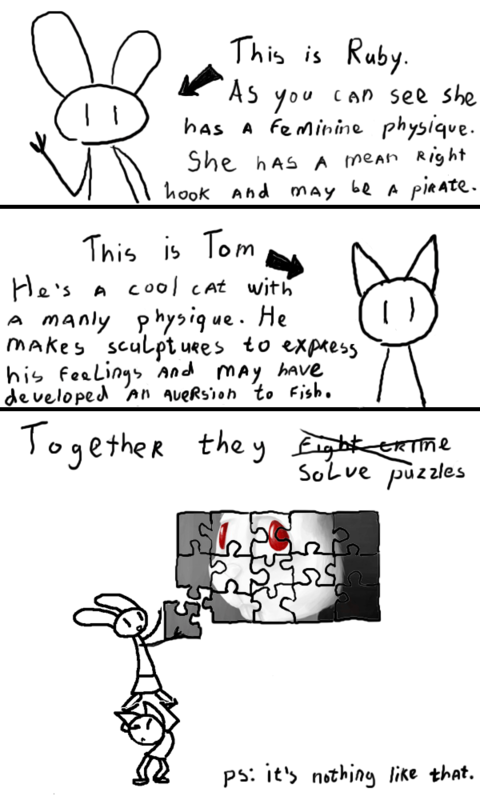 This entry was posted in School Shenanigans and tagged Andrew Hussie, Comics, Elder Scrolls, Friendship is Magic., Homestuck, Interactive Storytelling, Jail Break, Kahjit, Lovecraftian, Luna, Marble Hornets, Moonstuck, MS Paint Adventures, Prequel, Problem Sleuth, Ruby Quest, School Shenanigans, Slender Man, Slenderman, Web Comics, Woona. Bookmark the permalink.